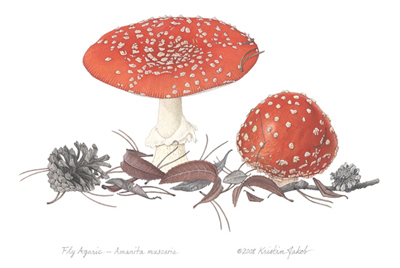 Kristin has dedicated much of her life to the study, cultivation, and depiction of plants – in particular, her beloved California native species. Born and raised in Mill Valley, Marin County, she began drawing plants at the age of 12, when she joined the California Native Plant Society. Essentially self-taught, Kristin has also studied in England, where, in 1981, she received an M.A. from the Royal College of Art in London. Since returning to California, her botanical art has graced a wide array of books and periodicals, package designs, posters, prints and cards, and numerous group and solo exhibitions. 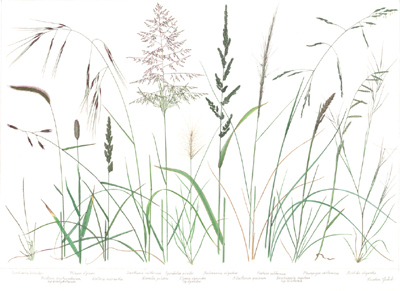 Commissions include two major projects for the California Native Plant Society (CNPS): a poster “Wildflowers of the Sierra Nevada”, and a set of four grass poster/placemats.